Please add [Sold] in the header when item is sold. [Sold] HP 41Cx for sale. Just purchased a 41CX in excellent condition but the small side port (power connection point) cover is missing. If anyone has a spare I'd be very interested in buying it. What an amazing coincidence... Just yesterday I received a photo from Richard Nelson showing BAGS full of '41 side port covers that he has! 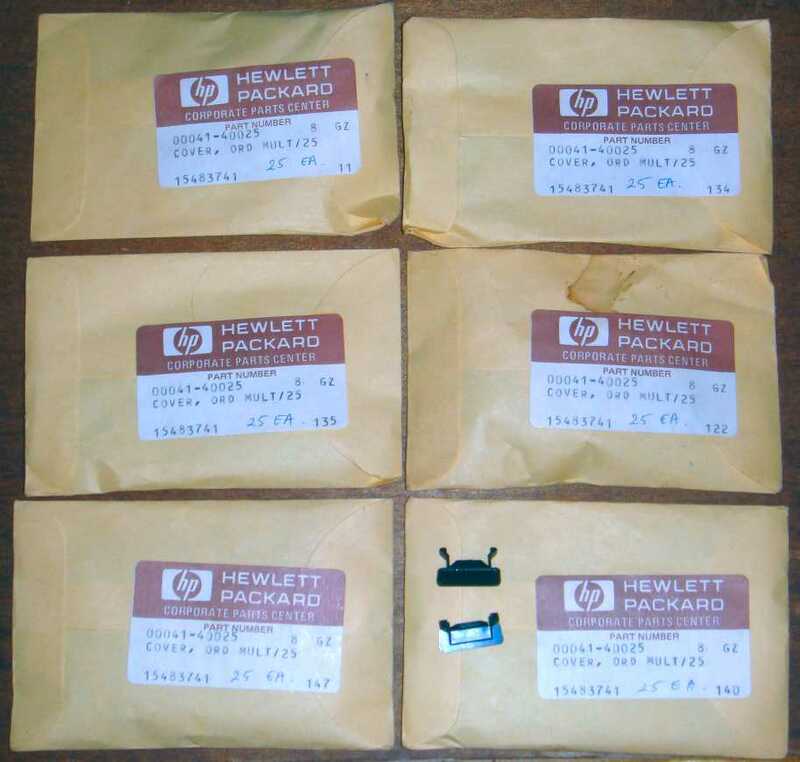 While digging around in his old HP stuff he ran across these port covers. I'm sure that he'd be happy to send you one. If you don't have his contact info, drop me a PM and I'll PM it to you. I'd post it here, but he doesn't need more spam than he already gets. the same thing happened to me right now. I just bought an excellent HP-41CX and the small side cover is missing (as well as manuals and overlays). I am interested in buying if anyone has one of these spare parts. I'm looking also for such an small side port cover of my HP41 - could anybody help in providing this cover !? Many thanx in advance !